The factory German car manufacturer BMW will build in Debrecen demonstrates the long-term stability and strength of Hungarian-German relations, the head of the Prime Minister’s Office said. The Munich-based carmaker announced late last month that it would build an over 1 billion euro factory for the production of conventional and electric cars in the eastern Hungarian city with a workforce of 1,000. The facility will herald a new phase of development in Debrecen and eastern Hungary as a whole, Gergely Gulyás told a regular press briefing. He noted that BMW will be the third major German carmaker to build a factory in Hungary, with Audi and Mercedes-Benz also operating plants in the western and central parts of the country, respectively. In response to a question, Gulyás said the state contribution to the project would exceed 10 billion forints (EUR 31.1m) and involve the same types of subsidies granted for other similar projects. Hungarian-German political relations should also remain strong and both countries have a vested interest in developing them, which was also the reason of Prime Minister Viktor Orbán’s recent visit to Berlin, he said. Gulyás added that he would also visit the German capital, on August 29. 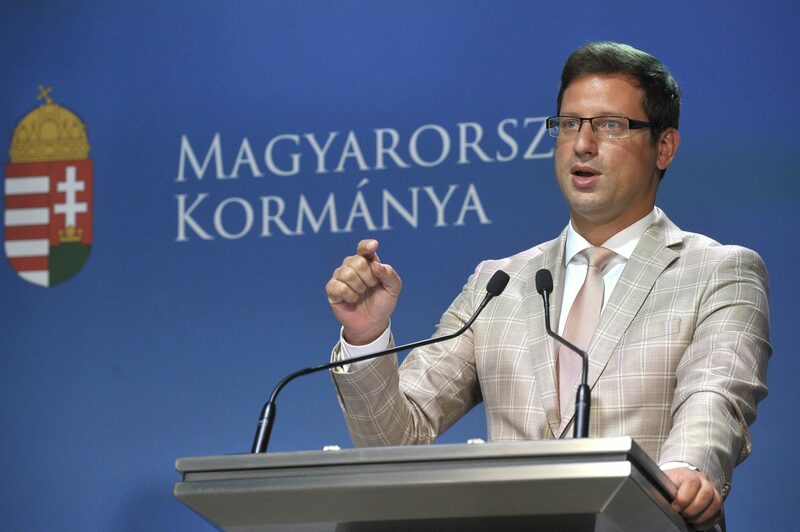 Gergely Gulyás, has also told at regular press briefing that the decision to discontinue state-funded courses on gender studies in Hungarian colleges and universities from next September had been made based on a review of the low number of applicants. The government’s position is that people are born man or woman and live a life of their choice, he said. The state, however, is unwilling to finance any education in this field, he added. background institutions employ fewer than 14,000 people but this number can be further reduced, he said, adding that the measures aim to eliminate overlaps as digitalisation enables fewer staff members to perform the same tasks. 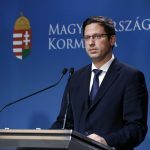 The government has discussed a ban on skyscrapers to preserve the traditional profile of Budapest, Gergely Gulyás, who heads the Prime Minister’s Office, said at a regular press briefing. There would be an outright ban on buildings over 90 metres, and decisions would be taken by authorities on a case-by-case basis for buildings between 65 and 90 metres, he said. The ban will not affect the construction of a 120-metre headquarters in the south of the capital for oil and gas company MOL, as the building was cleared before the ban, he said. Informal talks were earlier held with MOL, OTP Bank and Richter – Hungarian companies with high international profiles – on the possible construction of skyscrapers to serve as their headquarters, and only MOL wanted to avail of the opportunity, he added. On another subject, Gulyás said that Hungarian tourism had seen considerable growth, with a 5.3% increase in total turnover this year compared with 2017 and an over 10% increase in commercial accommodation revenues. The number of foreign visitors increased by 4% and the number of domestic tourists by 6.8% this year compared to the same period of last year, he said. Hungary’s agriculture has capacity to supply wheat of milling quality to twenty million people, twice the population of the country, the minister heading the Prime Minister’s Office said. Hungary produced 4.8 million tonnes of wheat this year, half of which is of milling quality and the rest is for feed, Gergely Gulyás told a weekly press briefing. Around 1.2 million tonnes is enough to supply a population of 10 million people, which clearly demonstrates the strength of Hungarian agriculture. With many regions of the world threatened by famine, it is extremely useful for Hungary to produce large amounts of grain for export, he said.